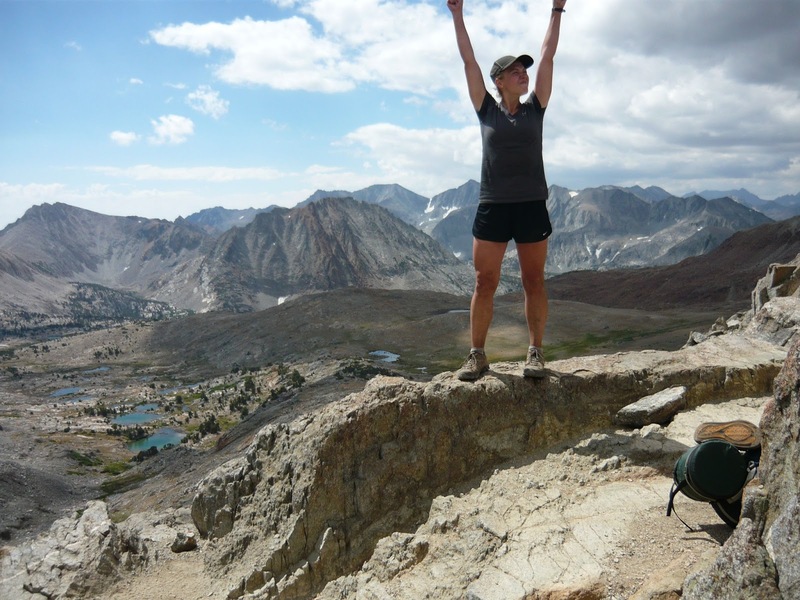 AMC Trails Blog: Meet the Berkshire Trails Supervisor and Ridgerunners! 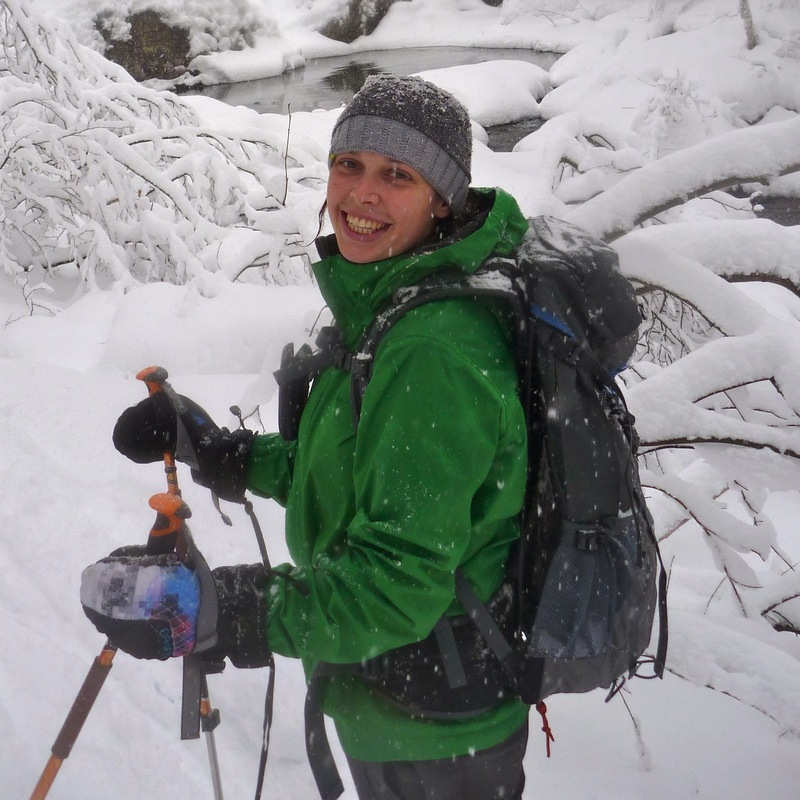 Meet the Berkshire Trails Supervisor and Ridgerunners! The AMC Berkshires would like you to say hello to the 2013 Berkshire Ridgerunners, their stalwart leader Caleb, and Alice, our unfaltering regional captain. Hopefully, you'll get to say hello to them in person sometime over the summer as they run the ridges of the AT throughout the state of Connecticut! 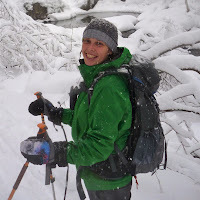 My name is Alice and this is my first year as the AMC Southern New England Trails Supervisor. I'm originally from New Jersey where I learned the art of loving pizza and bagels, but spent each summer north in Maine; this is where my interest and intrigue in the natural world developed and grew. Most of my college years were spent studying in the Fine Art Conservatory at SUNY Purchase, except for my final semester. A full curriculum schedule of conservation and field biology took me outside of the classroom to study birds, plants, the intricate network of the environment and how we play a role in it. One day was spent clearing an invasive shrub that was shadowing a flower which is the primary food source of the bog turtle. That day changed my course in life and I have been outside, dedicated to conservation work since. I began as a conservation intern with the Student Conservation Association in the Southern California Desert, where I was introduced to trail maintenance and construction on the Pacific Crest Trail. Since then, I have continued my work as a trail crew leader, instructor and skills trainer with various non-profits and outdoor organizations across the country, season to season. 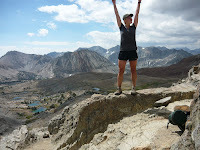 My dedication to trailwork is quite possibly matched by my passion to hike, garden, swim. All of those are trumped, however, by my love for my dogs, for sleeping in clean sheets dried by the wind, and for garlic. I am so excited to have the opportunity to contribute to the AMC mission, and to work in the beautiful Berkshires with a great group of people. Hope to see you all on the trail! Hey there, my name is Caleb Jackson and I am back for my fourth season with the AMC Berks Ridgerunner program and my third as coordinator. As always I am stoked to be here and meet all the amazing people that the AMC brings together. After spending last winter a top Mt Adams as the Gray Knob caretaker for the RMC I am more than excited to be in the low hills of the Berkshires wearing shorts and hiking on solid ground. Don’t let that last statement fool you though, I am going back to winter caretaking as soon as the weather turns frigid. But, for now the summer heat and the influx of fair weather hikers is a more than welcome sight. The Berkshires are like my backyard. I grew up in eastern MA and lived in Northampton MA for several years after graduating from the SMFA in Boston with a focus on ceramics. The transition from art school to trail work and wilderness stewardship looks funny on paper but seems to be a common thread among many people I meet outside. The Ridgerunner program combines many of my interests which include but are not limited to: solo hiking, trail work, education, outreach, environmental stewardship, drawing and taking notes, eating copious amounts of fatty foods, reading, living by head lamp, driving down dirt roads that few people know about, playing a cookie tin banjo in the middle of the woods, learning the history of an area and how to read the forest floor, talking to myself without anyone catching me, and getting to know people and all the variables that come with that. Hey All! My name's Tim and I'm very excited to be hitting the trail this summer. I'm a New Jersey native who has been living and working in New Orleans for the past year. After graduating Fairfield University with a degree in American Studies and Theater, I spent a few years working in Arts Education in NYC. I eventually resigned from the position to satiate my desire to travel around the country. Spent 3 months camping and hiking my way across the states, visiting friends family and several of our national parks. An avid guitar player, I swung through the Big Easy last year and fell in love with the sweet sound of southern blues. I look forward to a northeast summer and interacting with other outdoor enthusiasts! Hey! My name is LeAnn Holland, but Holland suits me just fine. I’m a recent Minnesotan transplant to NYC where I’m tackling my doctorate in Philosophy and Education at Columbia’s Teachers College. While this is summer break for me, a PhD never rests; you’ll certainly see me with some “light” reading like Thoreau, Hadot or Epictetus. I caught the hiking bug by joining my thru-hiking hubby “Wobegon” on the AT from PA to ME in 2011. I thru-hiked the John Muir Trail in CA solo in 2012, and now I’m back on the “green tunnel.” This year, I’m bringing a cook stove for the first time ever, hoping to overcome (or prove valid) my irrational fear of lighting myself on fire. I love cold, wild weather, pack shakedowns, and am meticulous about LNT. Meeting everyone out there is going to be the highlight of my season, so smiles and greetings all around! I was raised in Brookfield Connecticut where I played soccer and joined Boy Scouts as a kid. When I got to high school I started running Cross Country and Track. In my senior year of high school, I achieved the rank of Eagle Scout. I am now attending Paul Smith’s College in the Adirondacks and working toward a B.S. in Environmental Science. At Paul Smith’s College, I’m on the Cross Country, Nordic Ski, Snowshoe, and Marathon Canoe teams. I spend most of my free time training for these sports along with hiking, camping, cycling, and mountain unicycling. In 2012 I thru-hiked the AT between semesters and had the time of my life!